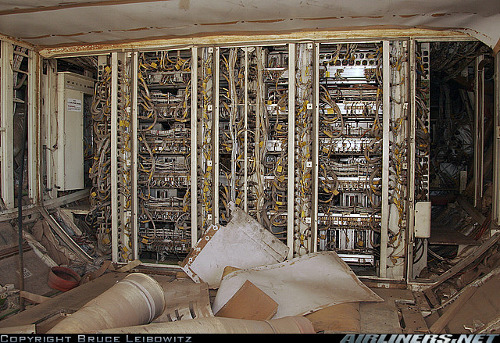 Rubenerd: That’s a pretty complex avionics rack! That’s a pretty complex avionics rack! As Bruce Leibowitz says on his photo page on Airliners.net, a rare glimpse at part of an aeroplane we don't normally see! The Boeing 767-200ER was first introduced in 1984, so we have some pretty retro computer hardware here. Funnily enough, I'd trust my life to such hardware before some of the newer stuff coming out now.